Since Frank joined the band yearlier this year we have been searching for a bass player to complete the band. We would like to introduce everybody to Henrik “Duplo” Sørensen who recently joined Skin Tuxedo. 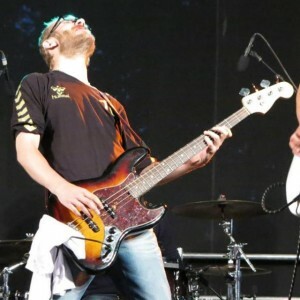 Henrik is an experienced bass player and we are thrilled to welcome him to the band. We are currently working on a bunch of new songs and the rehersals are great! With Henrik as the fourth member of Skin Tuxedo, we will soon be ready to book new gigs and show you guys what we are working on.